Nowadays, most of electronic applications, including e-learning, are based on the Internet and the Web. As the Web advances, applications should progress in accordance with it. People in the Internet world have started to talk about Web 2.0. 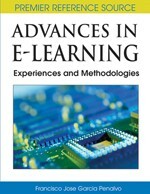 This chapter discusses how the concepts of Web 2.0 can be transferred to e-learning. First, the new trends of the Web (Web 2.0) are introduced and the Web 2.0 technologies are reviewed. Then, it is analysed how Web 2.0 can be transferred and applied to the learning process, in terms of methodologies and tools, and taking into account different scenarios and roles. Next, some good practices and recommendations for E-Learning 2.0 are described. Finally, we present our opinion, conclusions, and proposals about the future trends driving the market.